Often times I get to review products such as rods, reels, and life jackets, that are all competing against each other and the only differentiation is a new feature, color, or technology. That is why it is awesome when a product like the CreekKooler comes along and it’s so different from what you would normally see that it’s just a blast to test out. I’ve seen floating coolers before but they have mostly been inflatable and not nearly this durable. The CreekKooler is meant to be towed behind a kayak, hence the kayak hull shape, and it is an excellent product for a lake day or camping on the river. I first hooked the CreekKooler up to the back of my kayak with a tow rope, and after paddling around a bit I quickly realized that this wasn’t made for towing behind a kayak and I was going about it all wrong. 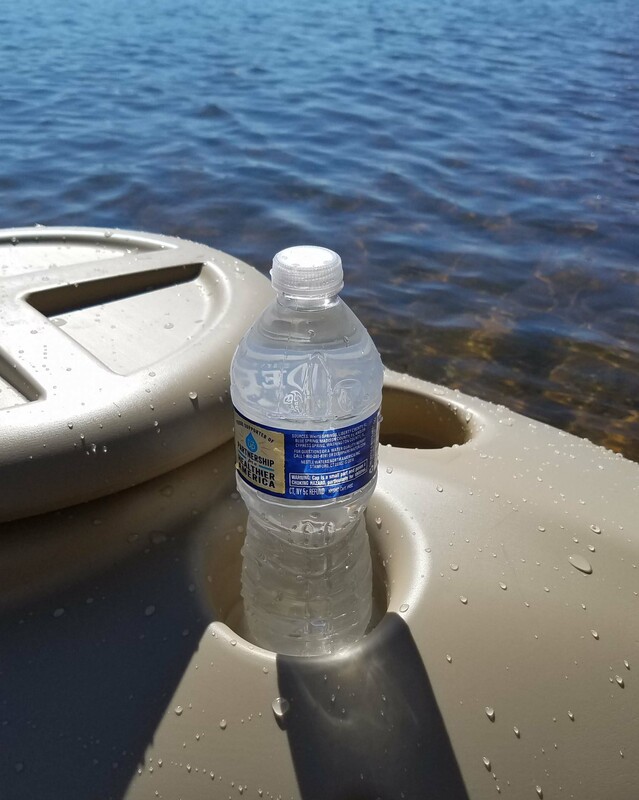 The cooler floats beautifully and has a good balance point, however towing anything behind a kayak results in a side to side action due to how a kayak is paddled which creates a ton of drag. Instead I think the best use for this cooler is floating in current and as an attachment for wading. 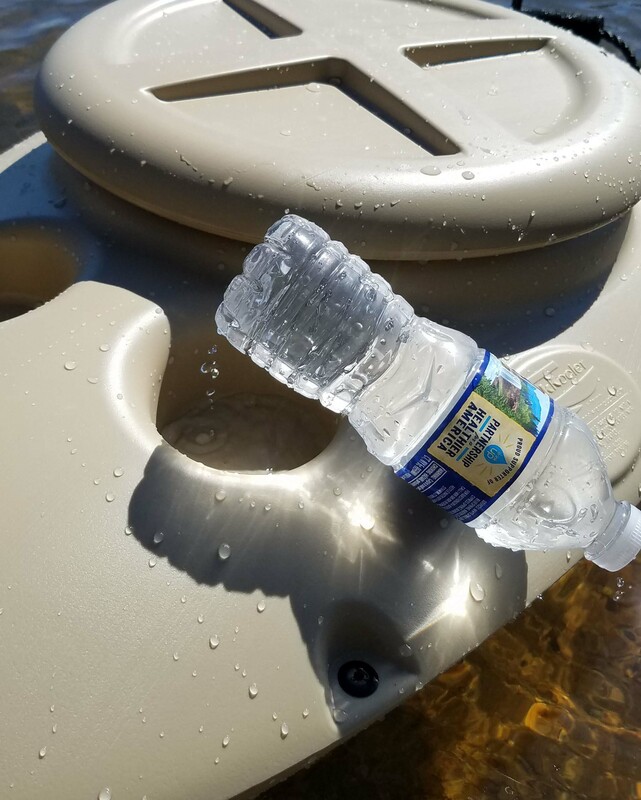 Can you imagine the opportunity you have to keep gear, lunch, fish, etc in this cooler when you go out wade fishing? 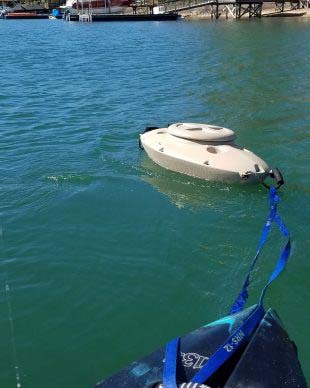 All you need is a waist leash or a stakeout pole to anchor it and it’s the perfect on the go wading vessel. Another possibility I see with this is drilling it to turn it into a portable livewell or baitwell. You could add a pump and battery and have fresh aerated bait close by at all times. With the extreme coolers on the market today we’ve come to expect that all coolers will keep ice for several days. From our testing the CreekKooler didn’t hold ice quite as long as their claim of three days, but it exceeded my original expectations. The cooler had very cold water and chunks of floating ice up until day two, which is quite impressive for something that is mostly meant to be a day trip floating cooler. I think the heat gets in through the lid which doesn’t seem to be an air tight seal. That being said, the cooler is a 30L size and claims to hold 30 cans and 20lbs of ice, which is perfect for a day of floating. The CreekKooler is well designed and I really haven’t seen anything like it before with the exception of the vinyl inflatable pool coolers and Bob the Bobber cooler, neither of which actually have any insulation or could even hope to be towed behind a boat. It will float level, it pops back up to the surface if you dunk it under, and it I didn’t notice any leaking at all despite being purposefully rough with it. 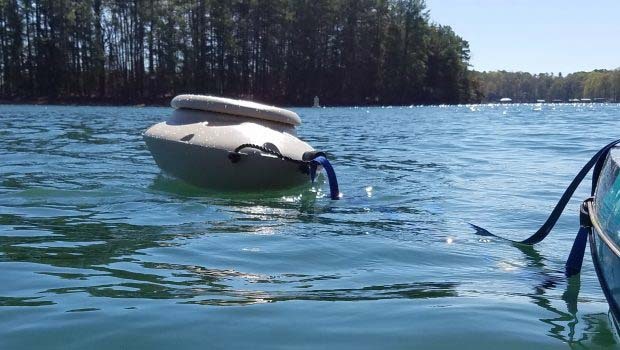 The foam on the handles make it comfortable to carry, however you could also chose to drag it behind you down to the water since it has a durable hull. You can take your cooler with you on the water and in the water. This is the go to cooler for a lake day or tubing down a river. 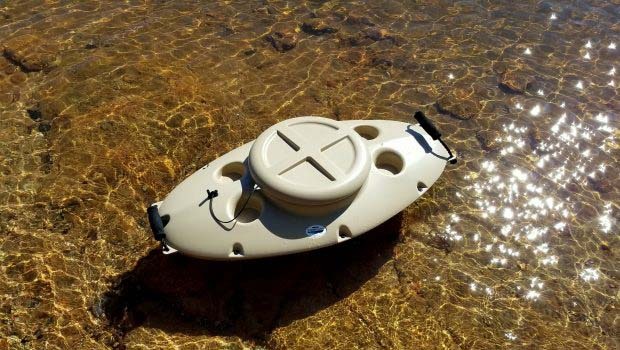 Perfect platform for outfitting a battery and turning into a floating live well. 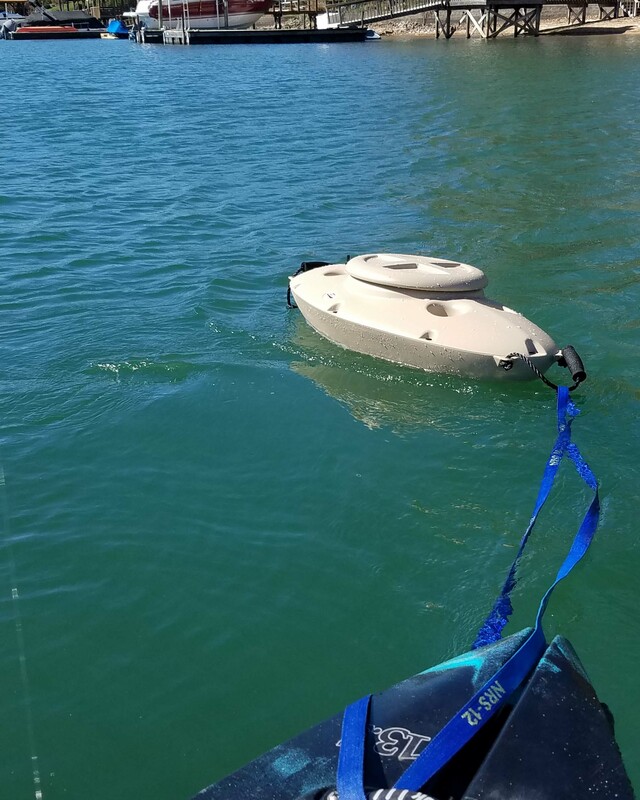 Excellent choice for wade fishing, attach a leash and bringing everything you could possibly want. While this is a new product on the market and it’s capitalizing in an area without much competition I think there are some solid areas to improve on the existing design. Improve the lid as it is difficult to quickly remove and re-tighten. 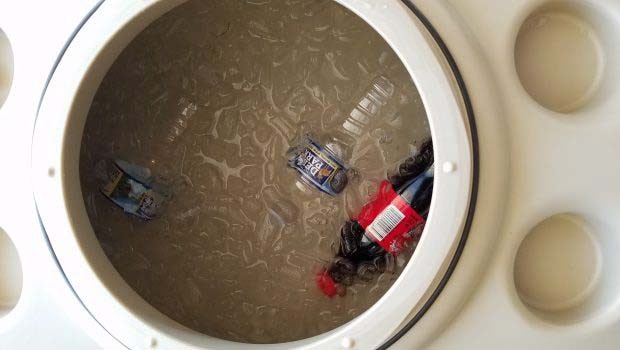 There is no drain plug, which makes trying to get all of the water out of the cooler very difficult due to the shape. 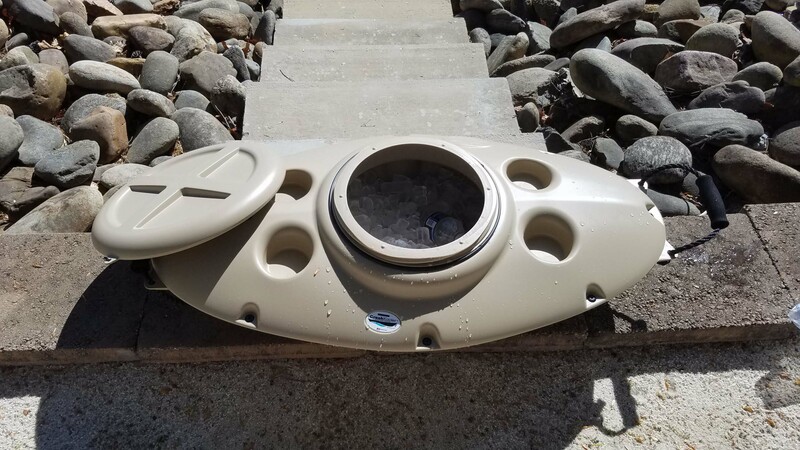 It is a two piece cooler connected with bolts and sealant rather than a single piece welded, one piece would keep everything colder longer and provide a better looking product. The cup holders are useless. They are too shallow and too wide to hold anything. Is this a good product for kayak fishing? I think the answer to that lies in how you intend to use it. I would not bring this with me on a normal kayak fishing trip because it adds drag to my kayak while paddling and it could tangle in fishing lines, however there is definitely a use for this cooler without question. I feel this product would fit extremely well for a tubing trip, river camping trip, or lake day. 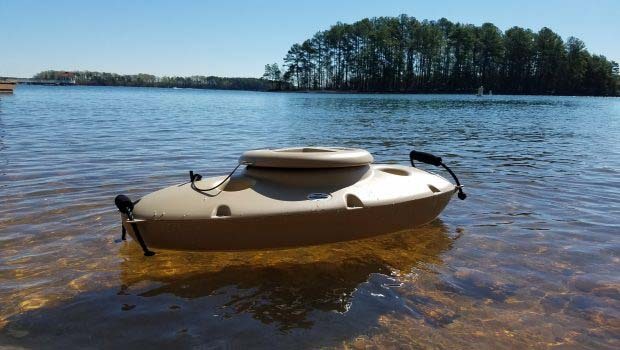 I really can’t wait to bring this along for a relaxing day of floating on the lake and I’m actually smiling just thinking about it. The cooler is such a cool niche product.